I found SBS’s “Where Are You Really From” to be compelling viewing. If you don’t look ethnic, you won’t know the experience of people asking where you’re from — and not taking “Sydney” for an answer. They don’t want to know where you’re from. They want to know where your family originated. 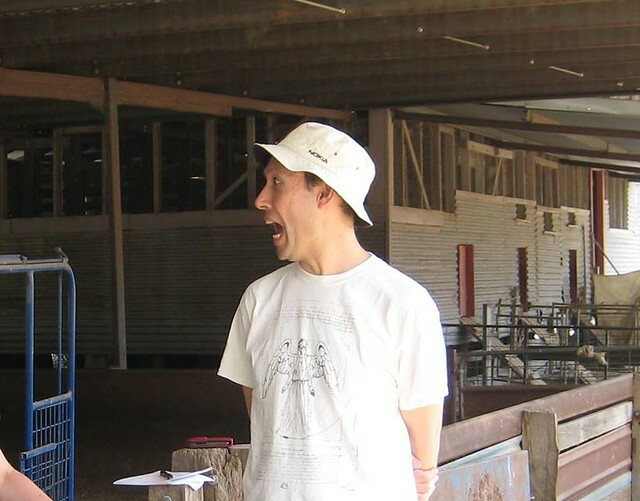 The whole series had some powerful stories, but it was the first episode that particularly struck a chord, as host Michael Hing visited the Chinese community in Bendigo. Not that I have any connections to Bendigo. But as with the people interviewed, I get my half-Chinese looks from family who came to Australia before Federation — farther back than many white Australians. I grew up somewhat isolated from any cousins or uncles/aunts or grandparents, and in those circumstances you can easily assume that your family’s background story is unique. It’s not. Suddenly seeing a group of people who have shared many of the same experiences was not just eye-opening, it was quite emotional. My jaw dropped when I realised just how common it was for Chinese immigrants in the 1800s to have their names messed up by officials. Walking across country to either avoid Chinese-specific taxes, or just because you’d landed at the wrong place and didn’t have any money, was also apparently commonplace, and something that some of my ancestors experienced. We ended up watching the episode again in a family group, with some verbal dissection afterwards. While the first episode really struck a chord, the others were worth watching too – in fact watching the second, I felt the situation reversed somewhat, with my usual assumptions about Sikhs in turbans flipped as soon as you heard their Australian accents. Whatever your family background, this is well worth a look. I didn’t know him — I think I only met once, when we were kids — but know his brother and mother quite well. I was greatly saddened to hear that this week we lost my cousin to depression. Beyond Blue: 1300 22 4636. Christmas Day was largely spent with family, eating too much, playing with a giant cushion-like water balloon (which burst when, tragically, nobody was watching/filming) and swapping presents. Our haul this time around included a Wii U, which should be fun, and for my own personal stash I got some great movies on Blu-ray (Help, and The World’s End), a rather nice framed original artwork, an excellent big book (The Beatles — All The Songs — great for dipping into and reading about the origins of their songs, something which has interested me greatly recently), and a voucher for MTC theatre tickets. I was pondering if the video game console manufacturers beef up their online servers at Christmas to handle millions of consoles needing software updates, and lots of people signing up for the first time. Perhaps they don’t beef them up enough — Nintendo had problems over the Christmas period, and had to partially shut down their eShop service. 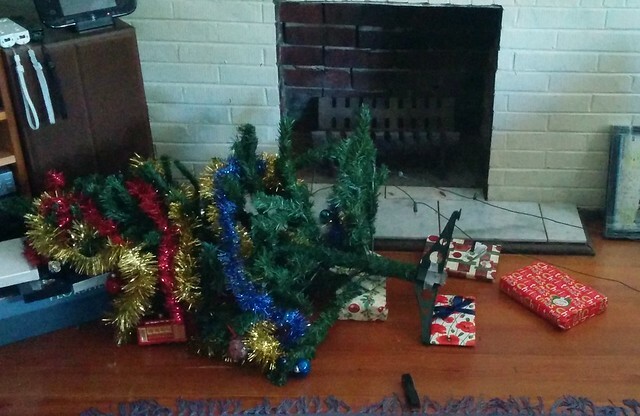 It wasn’t all good news in our house, either: our Christmas tree fell over on Christmas Day, and will need replacing. We already knew the lights were going to need replacing. Maybe they can be procured at a discount during the post-Christmas sales period? After Christmas festivities were over for the afternoon, I went on a PT joyride. 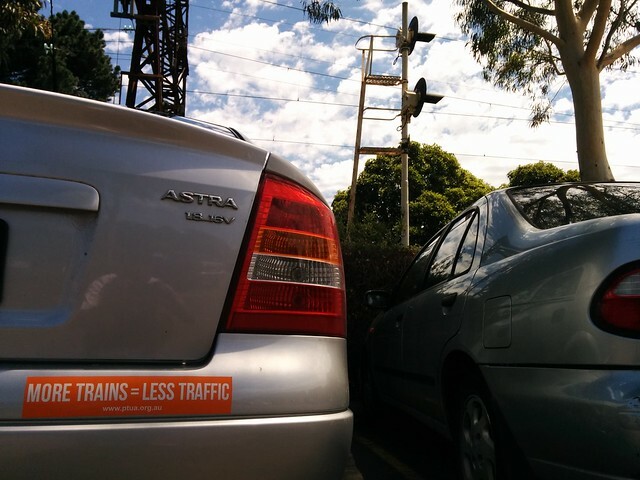 Services were free, and unlike the UK where virtually the whole system shuts down, runs a normal Sunday timetable. 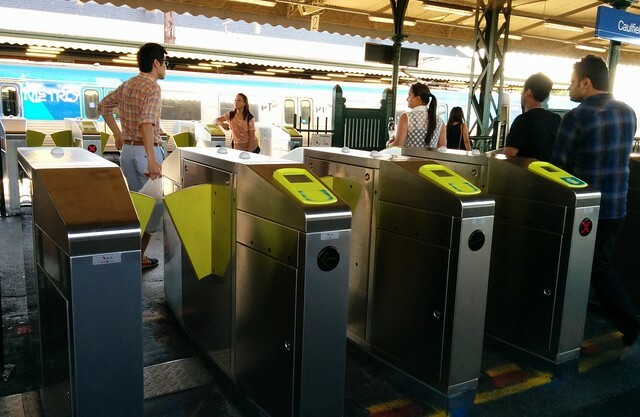 There were quite a few people touching-on/off their Myki cards — hopefully they were charged nothing, as advertised… obviously not advertised widely enough. But wouldn’t it be good customer service to open all the fare gates? Most at Caulfield were closed. 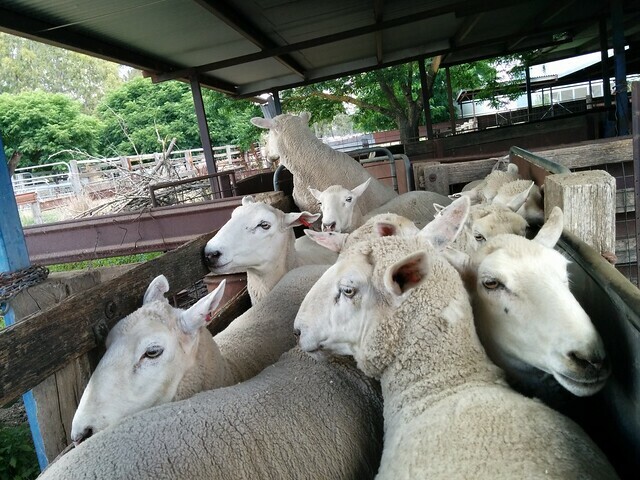 On Boxing Day I went farming, where I helped to count sheep, and didn’t fall asleep once. 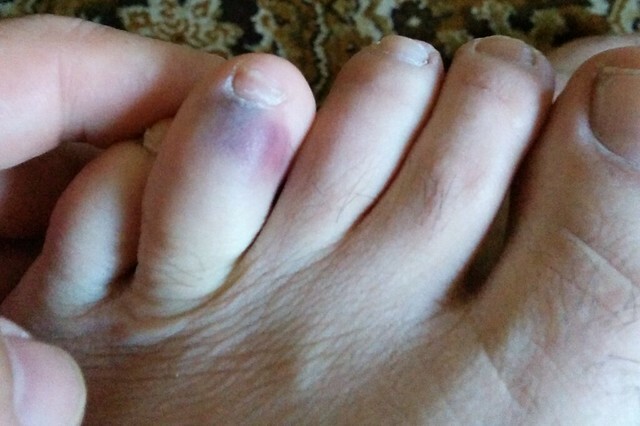 I also managed to bang one of my toes on a metal chair leg, leaving me with a big bruise and pain when I walked, until both thankfully faded away about a day later. Here’s the bruise in its small, early stages. Scary colour to see on one of your toes. 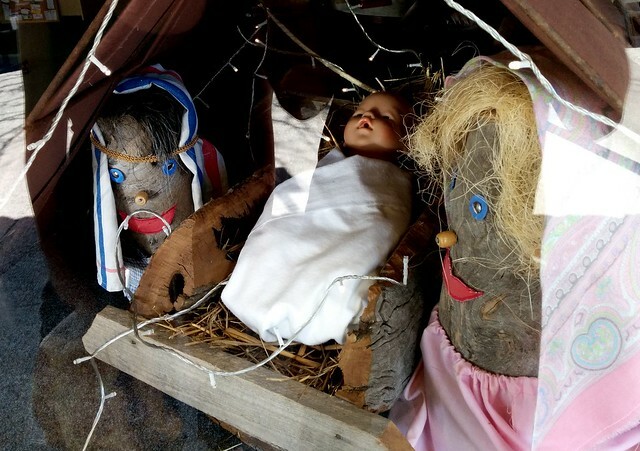 In Euroa we spotted this Stump People Nativity scene — very rural! Saw the second Hobbit movie on Saturday. Very good. Watched it in Gold Class at Southland — parked by the non-existent railway station. Hope you all had a good Christmas. The whole idea of state-sanctioned racism, treating non-whites as second-class citizens by law, seems ludicrous now, yet it lasted into the 1990s in South Africa. It was always a ludicrous concept, of course. No wonder The Goodies parodied it as “Apart-Height” in one of their episodes. As a kid growing up, there had often been news from South Africa, of violence in the townships. Some of my (white) English relatives actually lived there for a time, and in 1984 my mother visited them. While it appeared my relatives treated people well, my mother came back with amazing photos of Whites Only signs in public places, and stories of the segregation of whites and others, entrenched by an inherently racist rule of law. I’ve had to look up the date — 11th February 1990 — but I remember it was a Sunday night in Australia. I was 19, and I stayed up watching television. On-screen for an awfully long time was a shot of a driveway outside the prison where Nelson Mandela was being held. Those present, and the many of us watching on television, were waiting for him to walk out to his freedom. The ABC was taking a feed from the South African Broadcasting Corporation. When the SABC went to a commercial break, the camera man would take his camera off his shoulder and point it at the ground, or swing it around randomly. The commentators noted that he obviously hadn’t been told his shots were being relayed around the world. 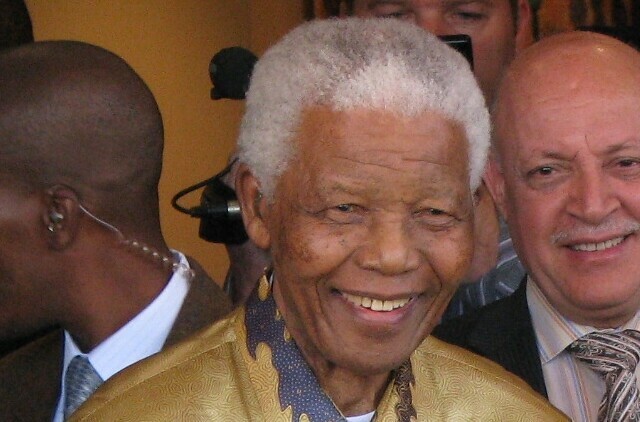 Eventually, Nelson Mandela appeared, in a suit, walking out into the world, to the cheers of onlookers. Over the years, as South Africa has transformed, I’ve often thought of that night in 1990, and I did so again on Friday when news of Mandela’s death came through. That night was just one remarkable moment in a wholly remarkable life. And who remembers this song — the iconic Free Nelson Mandela by The Specials? I was 25 when I first had kids. One outcome of this is that my eldest son’s education is running 25 years after mine. The dates don’t match up completely — the main event, the English exam, for me was on 7th November 1988. For this year’s VCE, it’s today. 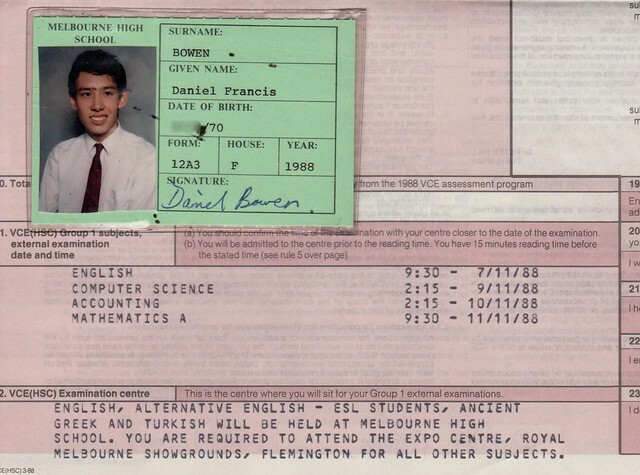 Good luck Isaac, and all of the other 43,000 students sitting the VCE English exam today.